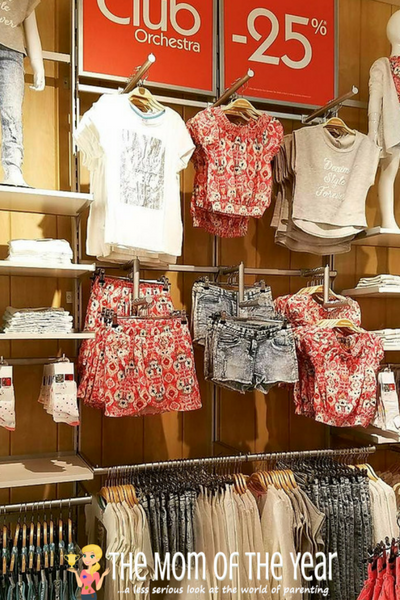 Earlier this week I was invited to check the new Orchestra store at the King of Prussia mall, and I couldn’t have had more fun checking out this cool line of French fashion for kids at this hip shop. My only problem? Talking myself out of grabbing nearly every single item! Yup, their duds are that fantastic. What is Orchestra‘s line of French fashion? This brand’s mission is to offer high-quality fashion at affordable prices that won’t break the bank, or your wallet. Orchestra takes pride in creating designs that will withstand all of your little one’s biggest moments and triumphs. 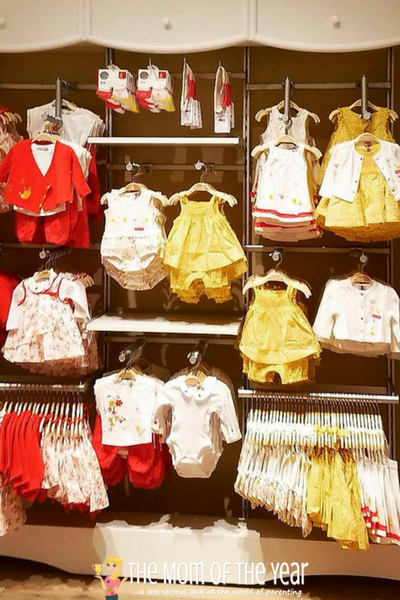 From newborns to 14 yrs., shopping is fun for the whole family with the most up-to-date styles and everyday essentials all in one place. Innovative designs and family friendly service ensure you’ll find exactly what need. 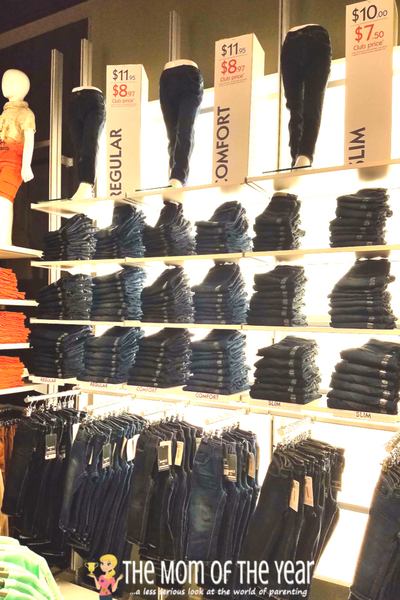 Orchestra’s line of denim and jeans is so well organized and easy to shop! How can you best shop Orchestra? 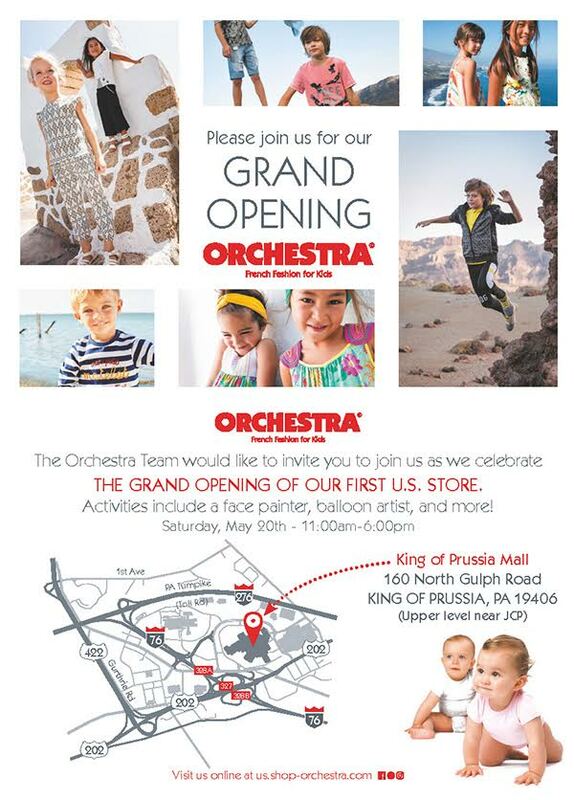 Orchestra has a full online shop, or you can check out their selection at the new King of Prussia store, the first brick and mortar store in the United States! Whichever way you choose to snag the finds, make sure to join Club Orchestra– this scores you 25% on ALL of your purchases, always! I couldn’t believe how much I saved through Club Orchestra–no coupons or promo codes needed! What will you find at Orchestra? 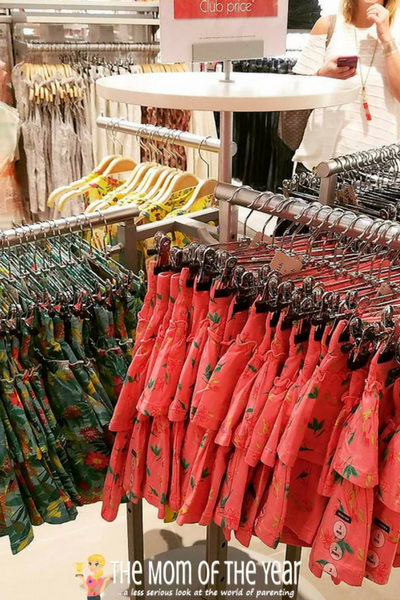 In addition to the cool collections, there is always a full stock of basics–shop the fab prices now! Why is Orchestra‘s French fashion a win compared to other brands? The items (especially with that handy Club Discount!) are truly affordable. They are also quality-made. 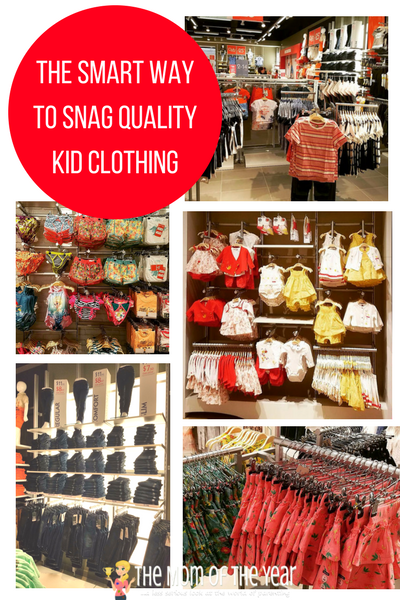 Quality + reasonable price adds up to my favorite kids’ clothing combo–duds kids can run and play hard in without making Mommy’s wallet cringe. I’m a big believer in kiddos actively playing in and wearing all the items in their closet. 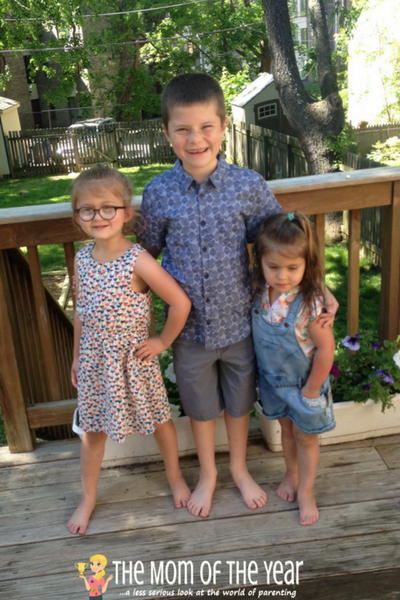 Without spending an arm and a leg on Orchestra clothing, I can relax and let my children wear clothes exactly the way they are meant to be worn–to fit their play-filled lives! Orchestra clothes are fashionable. A year ago, this might not have mattered, but then suddenly…my daughter became 5. And 5 means she wants to look cool. While many other mainstream children’s fashion brands are adorably sweet, she has sadly outgrown sweet…she wants hip and trendy, and fortunately, Orchestra’s French fashion delivers exactly this! Loads of baby basics items too for your little one! Need more motivation to check out Orchestra’s French fashion? 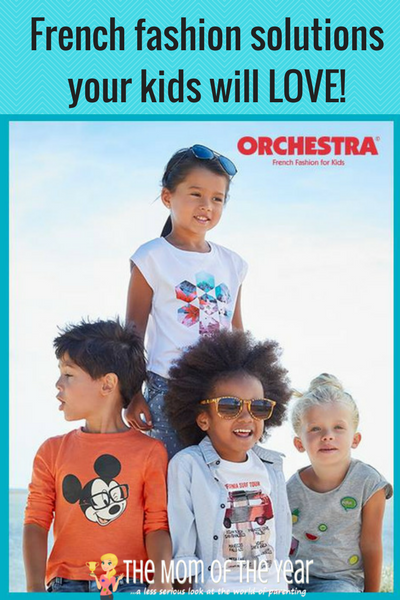 I am giving away a $50 gift card to shop Orchestra–online or at the store–here! Enter through the Rafflecopter below for your chance to win. As long as you are 18 or older and live in the continental United States, you are eligible to win. Giveaway will close on 5/29/17 at 5:30am EST. The collection concept makes it so easy to shop! Local to King of Prussia mall? Lucky you! Orchestra‘s newest and first United States shop has a very cool party planned for this Saturday, 5/20/17. With a balloon artist and face painter in addition to a chance to case out the hip new-to-America brand, how can you go wrong? Grab the family and head out for a fun day! Now that you have all the scoop on this hit brand, go get your shopping on, friends. And make sure to enter the giveaway below for a sweet gift card to get your shopping trip started! Here’s to fab French fashion! Some of my favorite cuties hanging out in their new Orchestra duds! Truly wish I lived closer as Orchestra looks like an awesome store to shop for kids at! It is! Love that they have the online option so you can shop from wherever you live! Obviously, I need all of this for my brand new niece. My son would love these clothes. I was so impressed by all the cool stuff they had for boys, Mike! Looks like the jeans are a good price! I got a couple for Isaac! What fun! I love how simple and stylish the clothes are! Keeping my fingers crossed! Exactly–love how there are so many basics too! Everything is so cute and the prices are awesome! So many things that would be cute on my grandson! I love how they have such cute stuff for boys too! Me too! I could go nuts! The thing I love most about Orchestra french fashion are the kid’s t-shirts they are too cute. That looks like the perfect place. Such great finds for kids! The clothing is so unique and cute! I’ll have to tell my sister in law about this store because she lives close to the new store!